Executive Summary: We see people willing to sacrifice the good of the country because their jobs depend upon them getting people to donate to political campaigns. To combat this, I propose the following campaign reforms: Create an organization that validates a candidate's qualifications early, fund this organization through a tax on campaign donations and let independent candidates compete in the primaries. If I get elected this November, I will have done it on less than $100,000. Think of all the waves this would make in the political world. But my plan to make big money donors and political professionals less influential is not based on my campaign for congress. This plan relies on getting higher quality people to run for office, an earlier check of their qualifications and ensuring the public has the opportunity to do a deep review of the candidates without the public having to depend on robo calls from candidates or 30 second commercials for information. One of the biggest negative influences on the public’s perception and engagement in the political process happens when someone starts to get a lot of public support for their campaign and then it turns out that person isn’t the person they’ve been telling everyone they are. One of the problems with our current system is that it relies too much on the media to check if what a candidate is saying is true. In the real world the media doesn’t really investigate a candidate until that candidate seems to have a lot of public support. By this time, it usually means a lot of people have put a lot of work campaigning for that person and it often means a lot of normal people have donated money to the candidate. How can we expect intelligent people to work on making sure good candidates get elected if they are jaded from previous experiences with trying to help poor candidates? I propose that there needs to be a process that validates a candidates resume’, school transcripts, police record, military service and membership in professional societies and charitable organizations early in the “application process” and then makes that information available to the public. You can look at my resume, transcripts and DD214 and other candidates might provide the same information but it is much more powerful and less time consuming for the public if they could go to an official website by a trusted organization and know that someone responsible has verified the information. This will also be more time efficient for the public which will lead them to look more carefully at the candidates for local offices. Often people will get so involved in looking at all the media coverage for Presidential or Congressional races they miss that there are candidates for judge or State Representative also in the election. Or they might not realize there is a local ballot initiative until they start looking at the issue while voting. When in reality how your local officials spend money affects you as much as some of the decisions made by the President or Congress. Your vote has more influence at the local level. That’s why we need a system that helps people know the qualifications of the people they might end up supporting. That system involves verifying resume and background info and making sure the public has access to that verification. In order to validate and publish and publicize the resume’s, police checks, transcripts and memberships of all the candidates some money will be required. I propose funding the validation organization by taxing a percentage of the campaign donations. Let independent candidates run against each other in the primary. One of the other things I believe would help the process is a non-affiliated primary. In other words, a primary for those of us that don’t want to be pigeon holed into one of the two major political parties. Right now in order for you to get support (i.e. money) from either of the major political parties a candidate has to practically sign a blood oath to vote lock step with “the party”. We recently saw a former Mayor of Dayton almost lose her political appointment because she endorsed a friend in a primary instead of the person the Democratic Committee told her she had to endorse. One of the main frustrations I have with the Republican Party and why I asked my son to run for State Representative is that I’m tired of hearing Ohio Republicans say that they support a voter’s point of view but they could never vote for it because if they did they would never get any money for their next campaign. We need representatives in Ohio that are free to vote in the best interest of Ohio. This can’t happen in our current system. Having an independent primary would help. My elections to congress will be inspirational. Many other qualified people will decide to run for office and others will believe the system can be changed for the better. But the way I’m getting elected isn't for everyone. In fact, I'm not advocating for a system where a normal middle class person has to save up for years and then self fund their campaign. On the other hand the current system is broken. I recently heard a report quoting a congressman complaining that he and every other congressman he knew typically spent 30 hours a week asking for money for their campaigns. That’s 30 hours a week that they should be investigating issues, developing a plan and communicating their thoughts to the public. What I’m doing to get on the ballot is better than begging for money but it still takes up a lot of time that could be used to have actual conversations with people and then construct articles documenting the issue and writing out proposed solutions. As I write this on Feb 20, 2016 one thousand four hundred and fourteen people (1414) have signed my petition. To get to that number, I must have said this phrase 2000 times, “Hi I’m Tom McMasters and I’m trying to get on the ballot to run as an independent candidate for congress. I’m hoping that if you are a registered voter in Greene or Montgomery county, that you will sign my nominating petition”. I consider this better than begging for money and I appreciate those that reach for the clipboard as I finish the words “independent candidate for congress” but these are not the kind of contacts where I learn from people or people learn of my goals. On the other hand, I got into a good conversation yesterday that gave me useful insight into an interesting perspective. I’d like to find more of those conversation but this one lasted 20 minutes. Even in the system I’m using to get on the ballot, too many 20 minute conversations means I won’t reach the goal of getting 3000 signatures to turn in. It’s because I want your elected representatives to be able to spend more of their time meeting with you and doing the work to solve problems that I’m promoting a plan that makes it possible for all candidates and officials to spend more time on these tasks. However, in order to be a more effective in making this happen, I do need to get elected using the current system. Since I don’t take monetary campaign contributions your help in publicizing my campaign is one way you can help improve the campaign system. Word of mouth is great as well as sharing my web page. 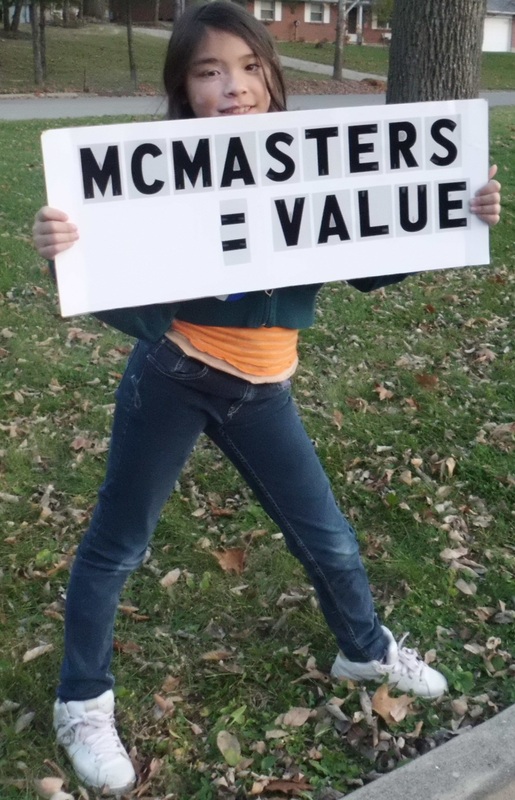 I do have some Elect Tom McMasters car magnets and a few yard signs. I expect that I will pay for door hangers so if you would like to volunteer to walk your neighbor that will go a long way in helping the campaign. 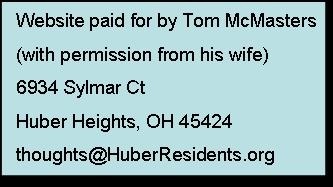 Send me an email at progress@TomMcMasters.us and that will give me more inspiration to work harder and tell me in that email you want to be kept informed and I will add you to my newsletter and events lists. 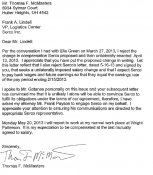 View 60 Minute expose' Dialing for Dollars – Viewers Call out Congress for "Dialing for Dollars"